Get the sonic secret sauce of the Echoplex Preamp with the legendary boosting power of the MXR Micro Amp in a lightweight, space-saving mini housing. The MXR Booster Mini gives you the sonic secret sauce of the Echoplex Preamp with the legendary boosting power of the MXR Micro Amp in a lightweight, space-saving mini housing. The Volume control has up to +25dB on tap while the Tone control rolls off highs. To add a little extra grit to your signal, adjust the internal Echoplex Preamp level control. 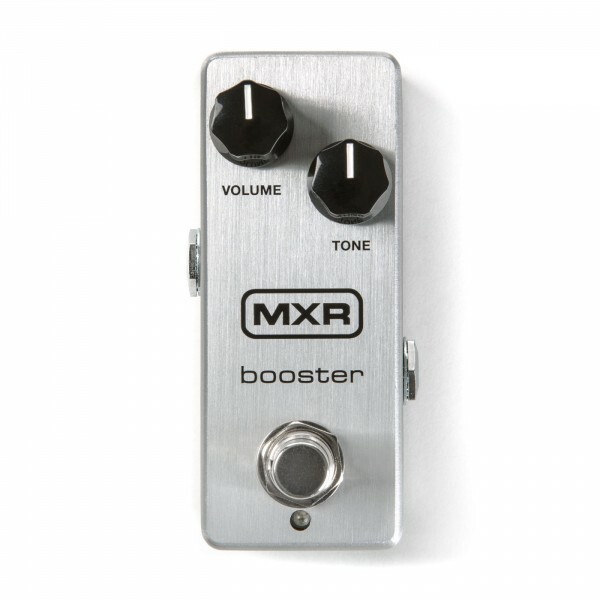 Put the MXR Booster Mini on your board to save space, season up your tone, and fly high above the mix. INPUT - OUTPUT Input / Output.